For visitors : Please take town bus number T 20 (Pidaripattu) from Villupuram and get off at Ennayiram bus stop. Ask for Venkatesh of Vijay Goat Farms. This bus starts at Villupuram old bus stand at 10 AM/or new bus stand at 9:45 AM. 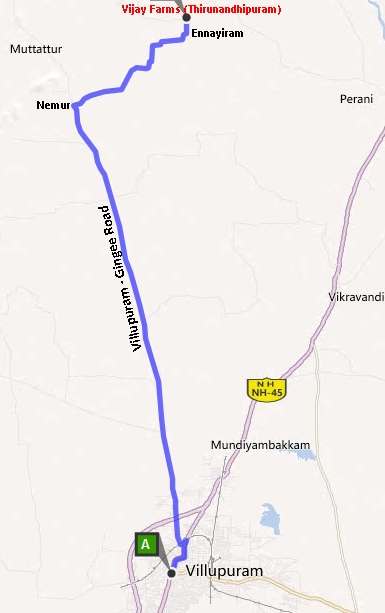 Take any bus going to Gingee/Vellore/Melmalaiyanur from Villupuram new bus stand and get off at Nemur bus stop. You can take a share auto to travel 6 kms from there to Ennayiram.